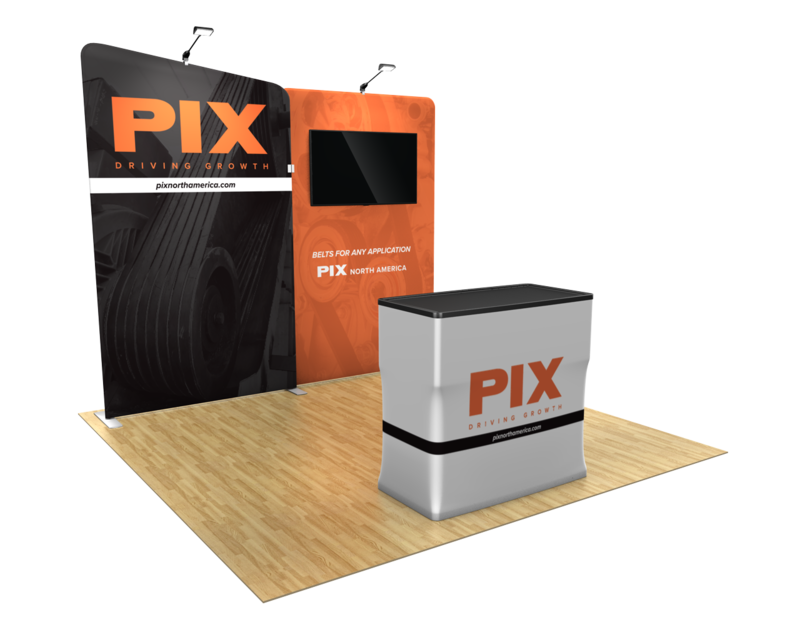 Showcase your retail store’s merchandise in this event display featuring clear plexiglass product shelves. 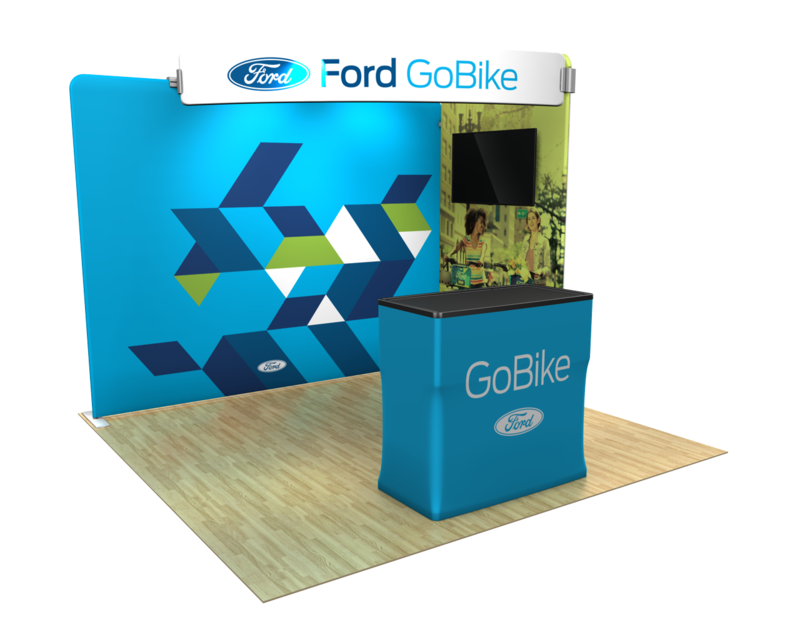 A wrinkle-free, lightweight backwall accented with product displays. 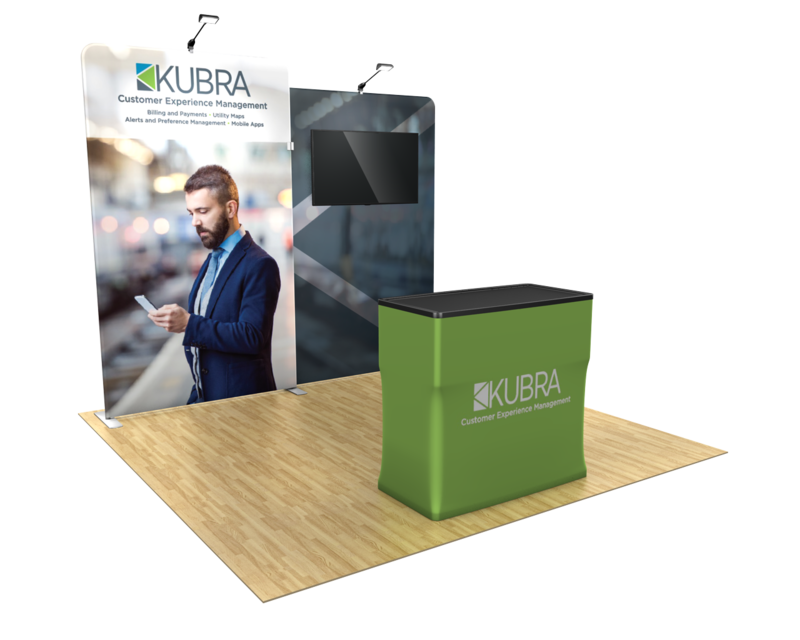 Price includes 2 shelves, 2 overhead lights, monitor mount, and a hard shipping case that converts to a graphic-printed counter. 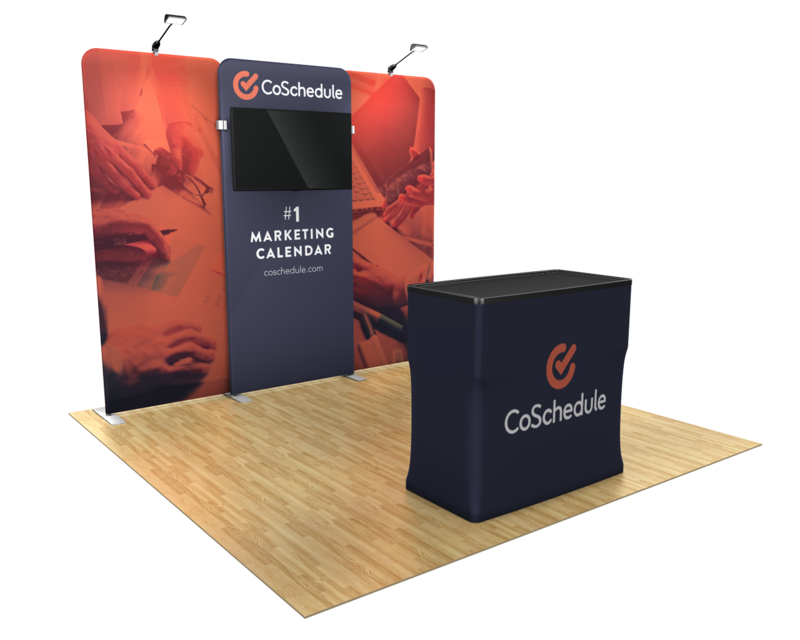 Two Waveline Media panels combine to form a lightweight, wrinkle-free back wall. 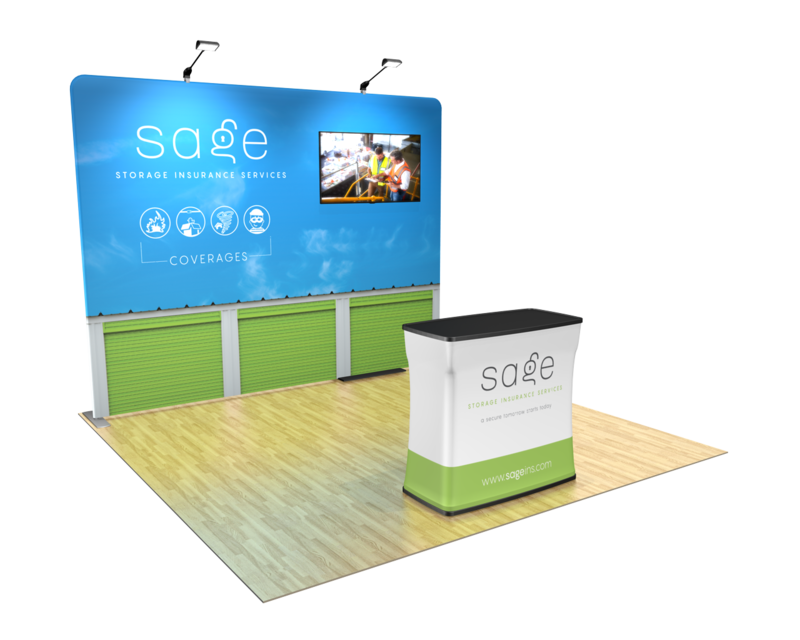 The price includes a mount for a small tv/monitor, overhead lighting, and a hard shipping case that converts to a graphic-printed counter. A wrinkle-free lightweight back wall. 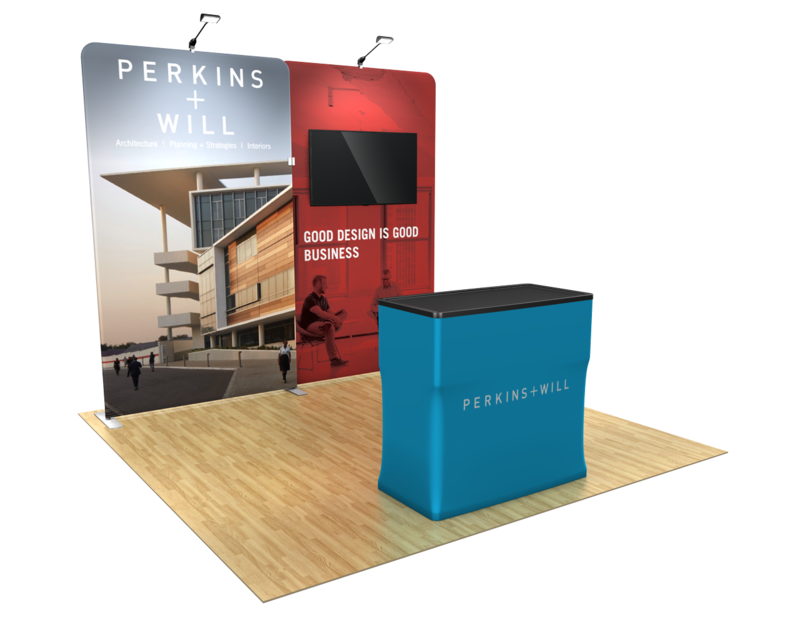 Price includes over head lighting, freestanding SP monitor stand, and a hard shipping case that converts to a graphic-printed counter. 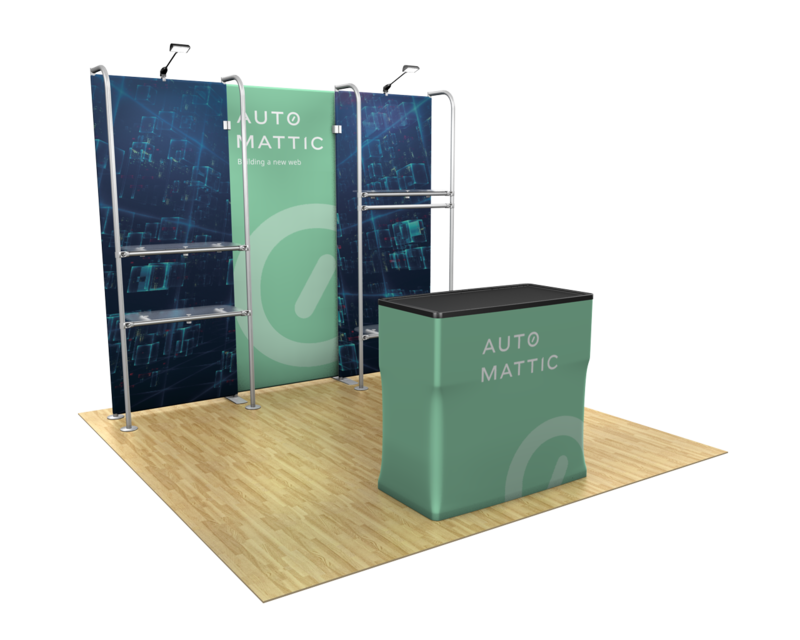 A staff pick for its versatility and range of configuration, our Waveline Media tension fabric display kits are popular due to our creative configurations that you will only find with MODdisplays. 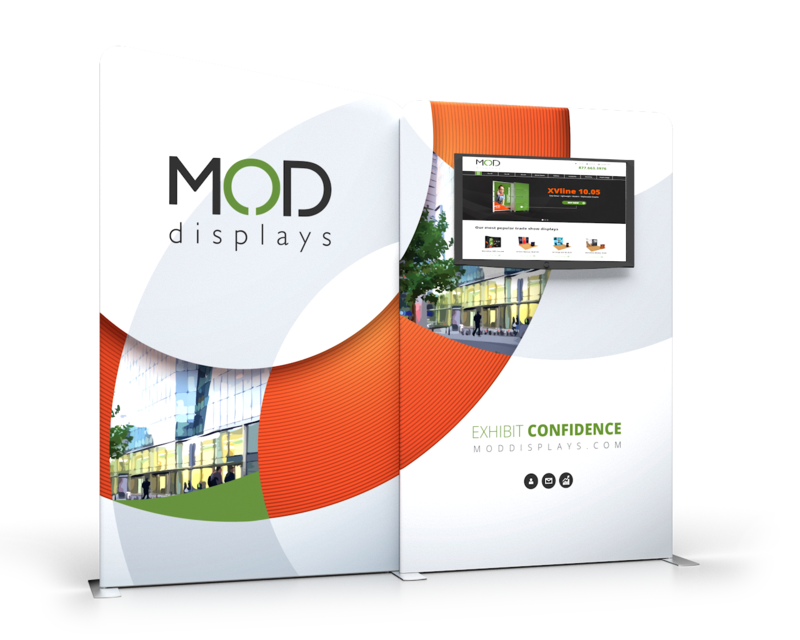 Most of the pre-configured kits include specialty monitor mounts that can attach 22" - 42" depending on the individual display. 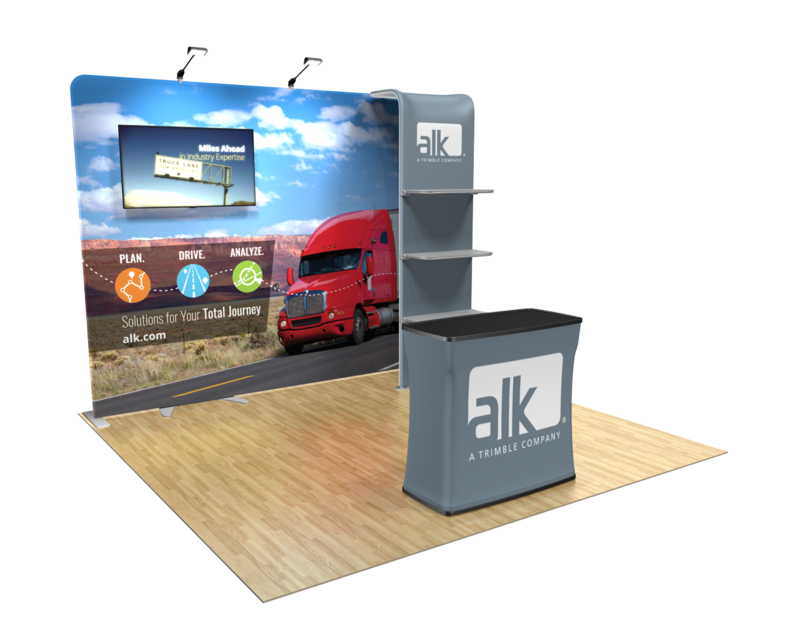 WLM displays feature multiple panels of lightweight yet durable frames and wrinkle-free graphics. 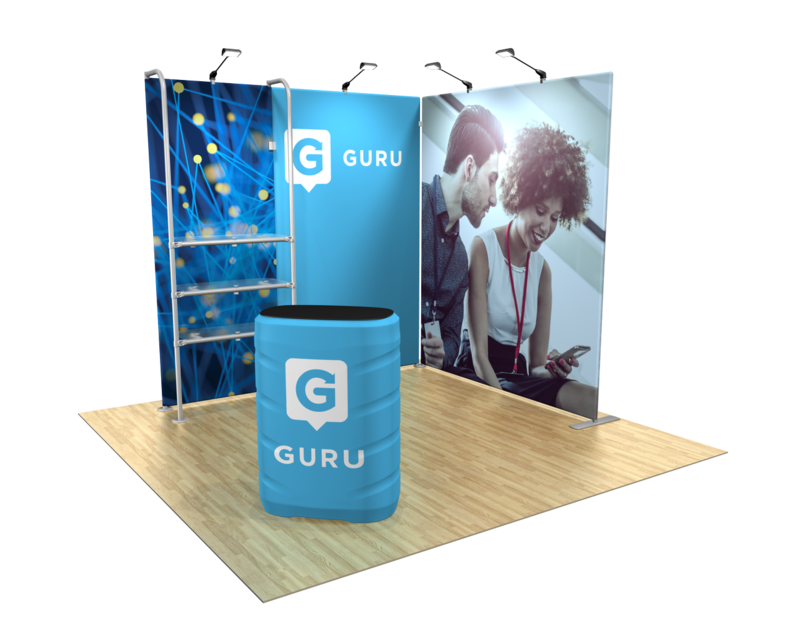 The custom designed and printed dye-sublimated fabric graphic slides easily over the aluminum frame creating a taut visual. Flooring is an easy add-on to complete your package. 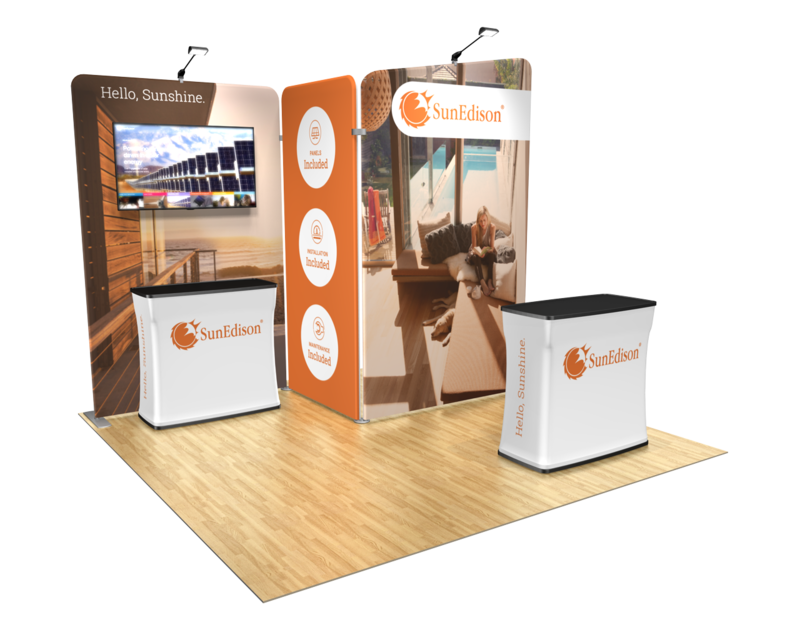 Booth configurations can be customized based on your company's needs to design a display exactly right for you. 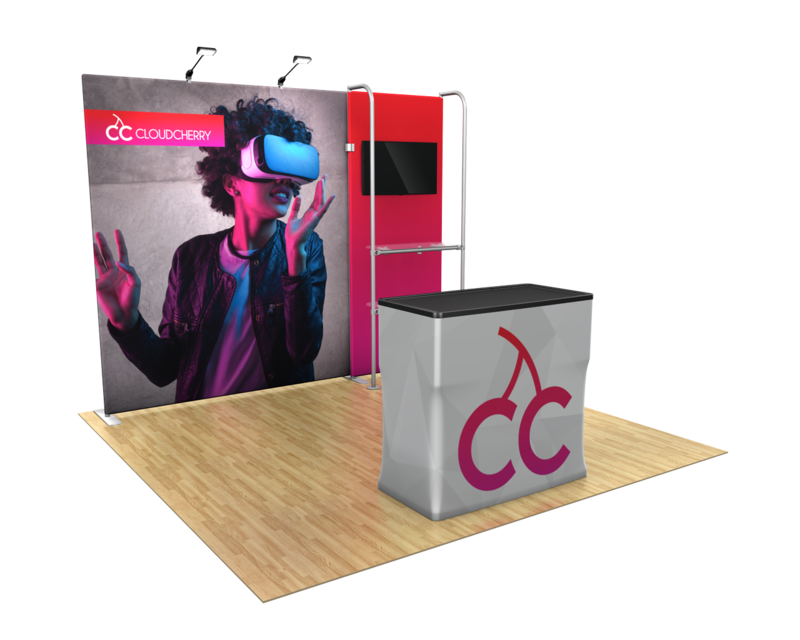 Contact our staff for more information on custom booths.